In order to keep your business running, and keep your customers’ trust, it’s important to make sure your network is secure from cybersecurity threats. Businesses of all sizes and varieties are at risk for cybersecurity threats. In fact, small businesses are the victims of cyberattack at nearly the same rate as larger businesses. 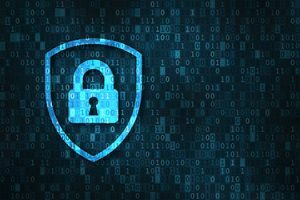 In order to keep your business running, and keep your customers’ trust, it’s important to make sure your network is secure from cybersecurity threats. Luckily, there are some easy steps you can take to keep your network secure. Following are four tips for keeping up on network security for your business. Your employees will be using your network on a near-constant basis, so it only makes sense to keep them informed about network security and avoiding cybersecurity threats. Human error can pose a serious threat to your network security. Make sure that your business has consistent security policies in place, and be sure that your employees understand your security procedures and device use policies. Two-factor authentication is especially important in the growing world of cloud-based network security. Protecting your cloud infrastructure gets a lot easier with two-factor authentication, which adds a layer of protection to otherwise vulnerable information. In fact, cloud data is most commonly attacked when authentication is not turned on, emphasizing the importance of this simple step to securing your network. A great way to add even more security to your network use is to use a VPN or virtual private network. In the online marketplace, your business will increasingly rely on public or unsecured networks, and using a VPN can help secure your networking and remotely accessible data. VPNs can be expensive to set up and maintain since many large businesses will establish their own to ensure secure employee access. But free VPNs can be unreliable. Luckily, you can always work with a VPN service provider in order to find a solution that’s perfect for your business, and leave the maintenance up to IT professionals. It’s important not to take your software for granted. You should make sure that all software is updated in order to avoid any vulnerabilities in your network security. This goes beyond operating systems, too–website management, financial tracking, anti-virus software, and more, should all be kept up-to-date to make sure that your business runs smoothly. This entry was posted on Friday, November 30th, 2018 at 9:00 am. Both comments and pings are currently closed.